Pippin & Merry, Parody Song Lyrics of Animaniacs, "Pinky & The Brain theme Song"
Song Parodies -> "Pippin & Merry"
"Pinky & The Brain theme Song"
With songs like "You're A Drain"
Maybe "Merry and the Pip" didn't work out for rhyming purposes. After all, Paul Simon had to explain to his boyhood baseball hero that "Where have you gone, Mickey Mantle?" didn't work for rhythm. Good job, TD. And Michael, now you're just makin' stuff up. That's because,Merry, that TD noticed that in all of Malkie's parodies you get all the good stuff, and I get seconds - thank you TD! I think Pippin & Merry are Chicks!!!!!!!!!!!!!!! 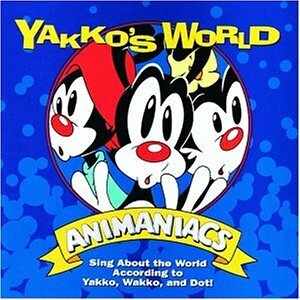 The address of this page is: http://www.amiright.com/parody/90s/animaniacs0.shtml For help, see the examples of how to link to this page.